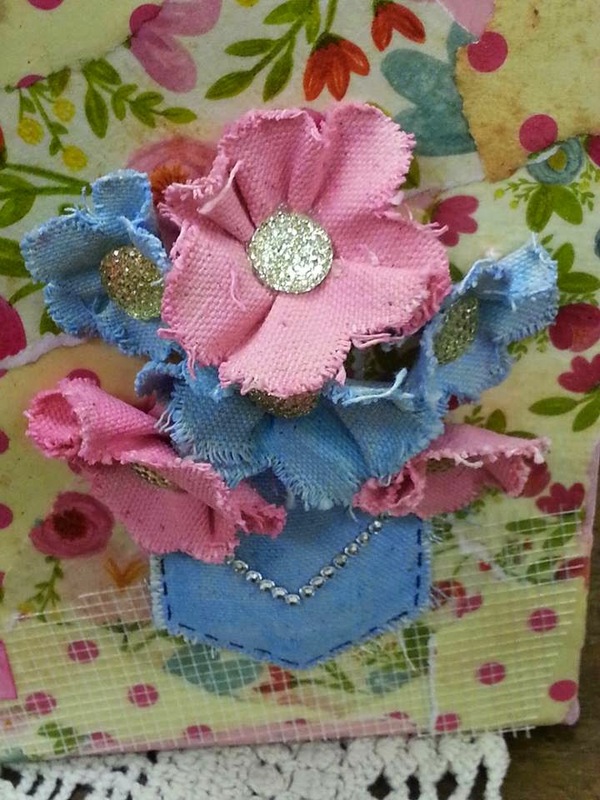 Hi Everyone....this is Dawn Mattson from Linnie Blooms design team 2015. I hope this will bring some warmth to those of you longing for Spring. 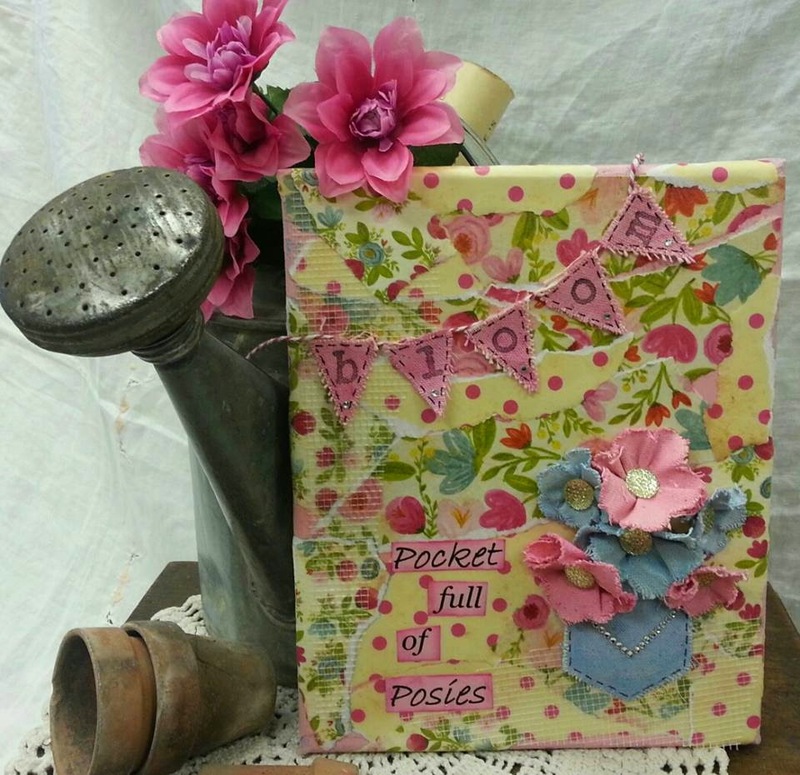 I had SO much fun making this sweet Pocket full of Posies canvas. 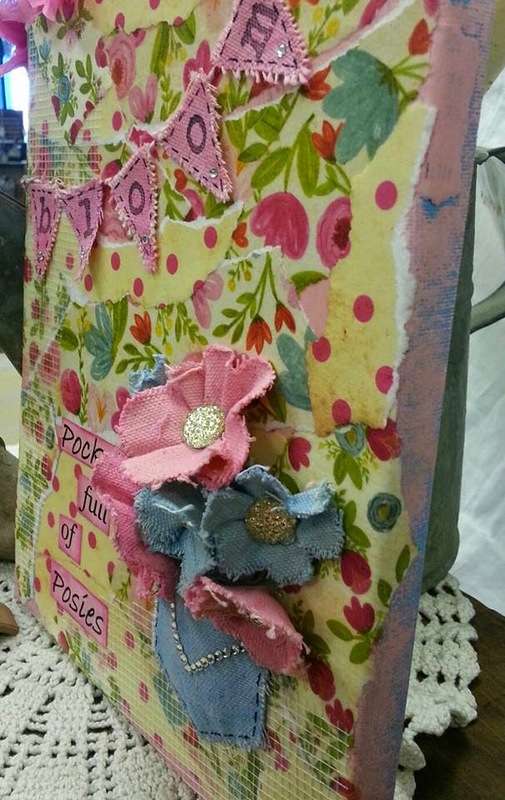 The paper is from Bazzill Vintage Lace and the flower centers are Tim Holtz Gumdrops. I painted the flowers with Gelatos and while they were wet I pulled the center and twisted. Then I dried them with the heat gun being careful so they would keep their form. The side view shows the how they pop up off the page. 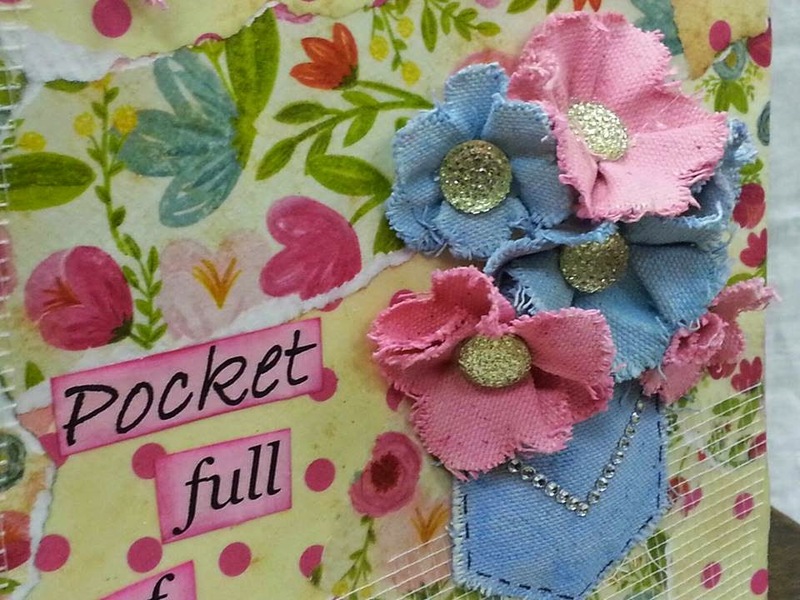 I used the small Linnie Blooms pocket and colored it with Gelatos and then used a sharpie to "stitch" it. I used Prima bling to make the V on the pocket. 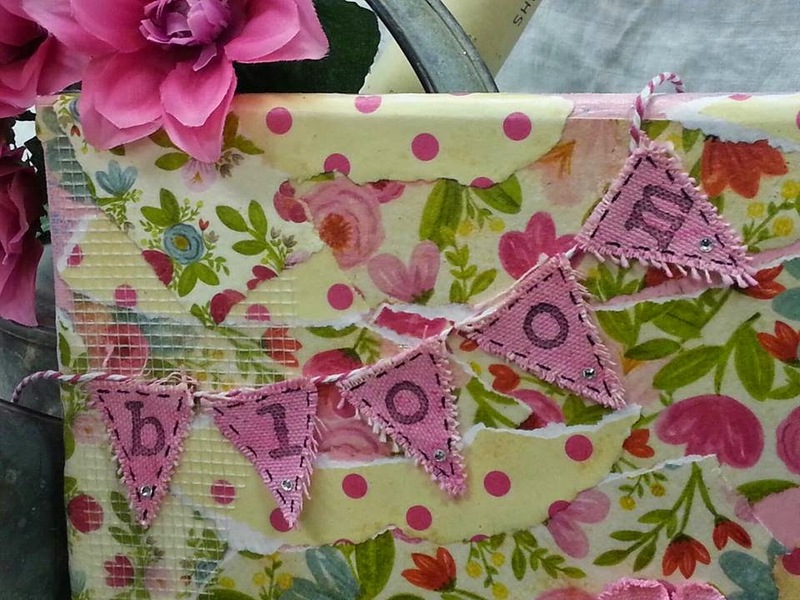 I used the mini banner pieces from Linnie Blooms and painted them with Gelatos then stamped the letters with Staz-on ink. I left them loose and only glued them on the top to add to the free flowing look. 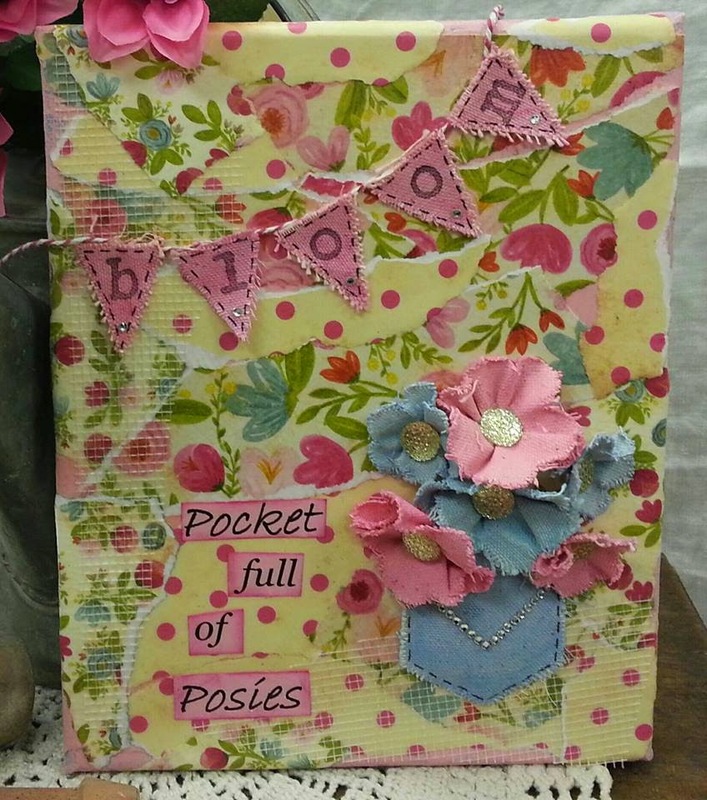 I used Maya Road twine and another little Prima bling on the point. Here's the other side view...OH and I stuffed the pocket with cheesecloth so it would puff up. 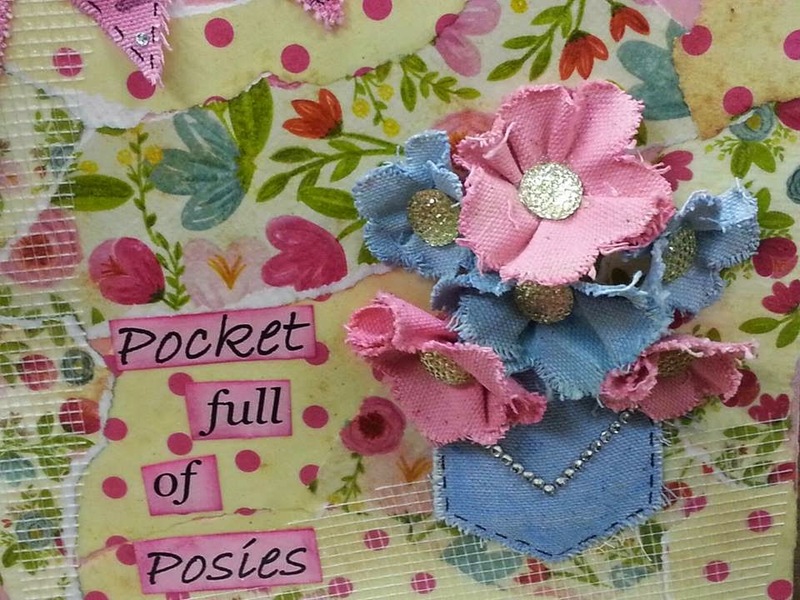 A pocket full of Posies....so much fun to make. I hope you all enjoy it. Wooow!! Your first project it's incredible! I love it!!!! So lovely! Cheers me up on this cold winter day in snowy Canada. Fantastic project Dawn!! You rocked it!! Thank you ladies! I had a lot of fun playing with this. I'm really loving the flowers...there is so much you can do with them.